Four Oaks Financial LLC is offering an innovative new way to invest with our firm. Using our expertise you know and trust, we’ve built a diverse suite of portfolios using Institutional Intelligent Portfolios™, an Automated investment management service for independent advisors sponsored by Schwab Wealth Investment Advisory, Inc. that helps us automatically rebalance your investments when needed. As your advisory firm, we’ll work with you to identify the right portfolio for your needs, and continue to meet to ensure it’s helping you achieve your long term strategy. Your portfolio will be held in a brokerage account at Charles Schwab & Co., Inc. You can easily access accounts through their websites and mobile apps. To get Started, you visit the Institutional Intelligent Portfolios™ website and enter our firm’s unique program key to access our portfolios. You are now leaving the website of Four Oaks Financial LLC (“Advisor”) and will be entering the website for Institutional Intelligent Portfolios™, an automated investment management service sponsored by Schwab Wealth Investment Advisory, Inc. (“SWIA”) and available to you exclusively through Advisor. Advisor is independent of and not owned by, affiliated with, or sponsored or supervised by Schwab. Schwab has no responsibility for the content of Advisor’s website. This link to the Institutional Intelligent Portfolios website should not be considered to be either a recommendation by SWIA or a solicitation of any offer to purchase or sell any security." Please contact us if you have any questions or want to learn more. 1. You complete a short questionnaire based on your goals, risk tolerance and timeline. 2. We build you a diversified portfolio of low-cost ETFs. 3. 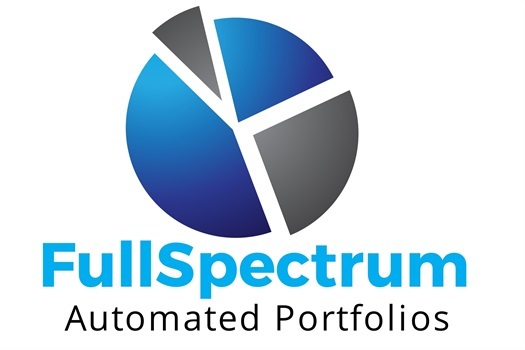 We monitor your portfolio daily, and automatically rebalance it when needed.